Is it true that any old Omega 3 fish oil will do? No. What’s true is that the there are clear advantages to the Omega 3 fish oil product called EPA/DHA SP, available at The Guyer Institute and Synergy Spa. The EPA/DHA SP compound has the ideal blend of key nutrients known to give your body greater benefits. Our supplement store is the place to go to get these life-improving supplements. Many studies have shown that women frequently have lower than desirable levels of Omega 3 in their systems. Research shows that Omega 3 can help improve brain health and cardiovascular health, among other important benefits. The human body does not produce these important fatty acids on its own. Here’s the dilemma, one that The Guyer Institute and Synergy Spa have resolved for our patients. You see, many brands do not disclose the origin of their product. EPA/DHA SP, the brand we have ready for you, has as its source fish from the least industrialized coast line in the world, Chile. The EPA/DHA SP with Omega 3 that we stock is also purified, vacuum-distilled, and then sent out for independent testing. This can confirm that the product is free of heavy metals, pesticides, and polychlorinated biphenyls (PCBs). So many people who seek out Omega 3 fish oil supplements do not know the type of fish oil they are taking – they tend to grab whatever is on the pharmacy’s over-the-counter shelves. At The Guyer Institute and Synergy Spa, we are sure these products have so much potential to help you, your family and your friends’ health. They are comprised of the most promising, productive components. The answer is EPA/DHA SP. Here are some of the other benefits of best forms of Omega 3. It’s also true that many Omega 3 fish oil brands inferior to EPA/DHA SP use a semi-natural ethyl ester in their make-up. That structure is resistant to digestion and decreases overall absorption. EPA/DHA SP at The Guyer Institute and Synergy Spa uses an all-natural triglyceride form of the supplement. This leads to more effective absorption. There are signs you that could point to lower Omega 3. There is an important caution: If you are pregnant or nursing, please consult your physician before taking EPA/DHA SP. Patients should also know that EPA/DHA Omega 3 fish oil from The Guyer Institute and Synergy Spa does not contain wheat, gluten, dairy, peanuts, tree nuts, egg, artificial colors, sweeteners or preservatives. Yes, it matters very much which fish oil supplement you take. 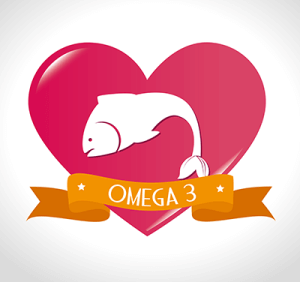 Omega 3 is simply too valuable for too many reasons to leave the choice of brand to chance. EPA/DHA SP is the right choice for the optimal results.